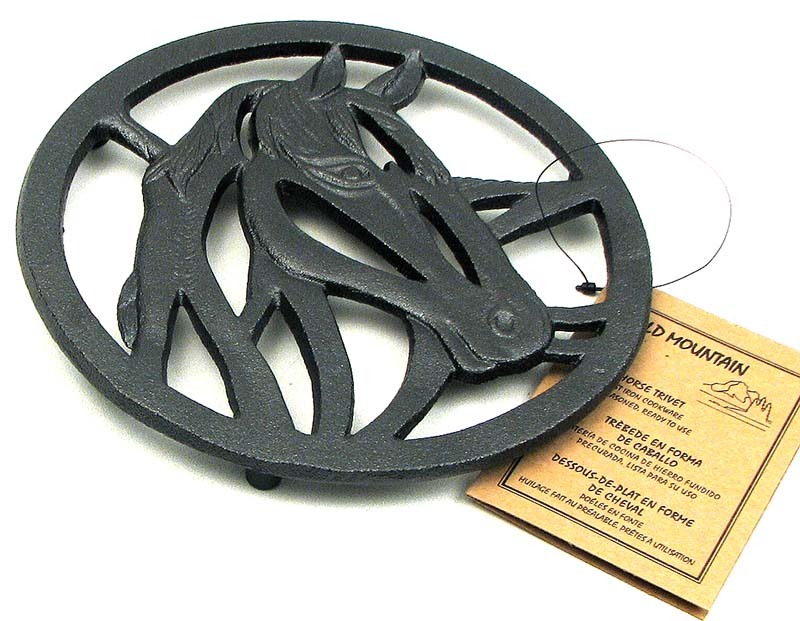 Measures: Old Mountain trivet comes preseasoned for easy cleanup. Rubber feet included to avoid damaging your counter top. Safe for hot items direct from stovetop or oven. Measures apporximately 7 1/2"W x 5/8"H.